Let us give you the smile you've always wanted. Full Name Your Email Phone Number What type of patient are you? Biannual cleanings provide your teeth with a chance to be free of plaque or tartar. Periodontal disease or gum disease, is an infection of the tissues that hold your teeth in place. Root Canals are a pain-free procedure and very helpful in the preservation of the average set of teeth. Treatment options like crowns, bridges, fillings, and dentures maintain the health and appearance of your smile long term. Treatment options include implant restoration, veneers and whitening. At our office we do our best to save the teeth you have, but sometimes a tooth may need to be extracted. We give you the comfortable experience you deserve. 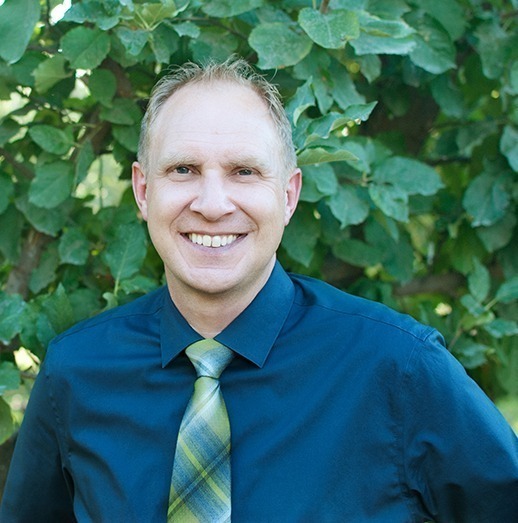 Dr. Geary is a member of the American Dental Assocation and Idaho State Dental Association. His motto at Fruitland Dental is, "our patients are like family!" I absolutely love this dentist as well as the staff as well. I was in yesterday for a cleaning and Monica was great! My daughter was being a helpful little 5 year old and Monica let my daughter help her with little things. I could tell my daughter was very interested in what was going on and Monica let her know what she was doing and what the instruments were for. I highly recommend this dentist to anyone. Hands down the best dentist I have ever been to. I used to only go to the dentist when I was in pain but after going to Fruitland dental they have surpassed any expectations you could have for a dental office! They have a very kind and helpful staff who caters to your level of comfort while you're getting worked on. They don't settle for mediocrity and will make sure that you leave happy and satisfied with the work you have done. I would encourage anyone looking for dental work to give them a shot, they definitely fixed my Jethrow! Excellent Dental practice. I have major anxiety when it comes to visiting the dentist, but Dr. Geary made my visit stress free! When calling to make an appointment the receptionist was great to talk to. At my appointment I didn't have to wait in the waiting room forever like I have at other dental offices in the past. All together a great experience Dr. Geary is great and does great work, and so does his staff!! Highly recommend!! Fruitland Family Dental, office of Dr. Jason T. Geary, located in Fruitland is a world-class family dentistry practice. Built on a solid reputation for providing quality, affordable care to our patients in a comforting, family-friendly environment. We offer comprehensive preventative treatment, including exams, cleanings, and emergency care. Dr. Geary and the staff come to work everyday with a smile and ready to treat YOU like family, because that is what you are! Fruitland Family Dental is dedicated to providing education as we serve our patients with compassion and respect. We want you to feel comfortable with the care provided and make sure that every patient leaves our office with a clear understanding of their specific care plan.